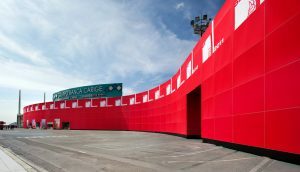 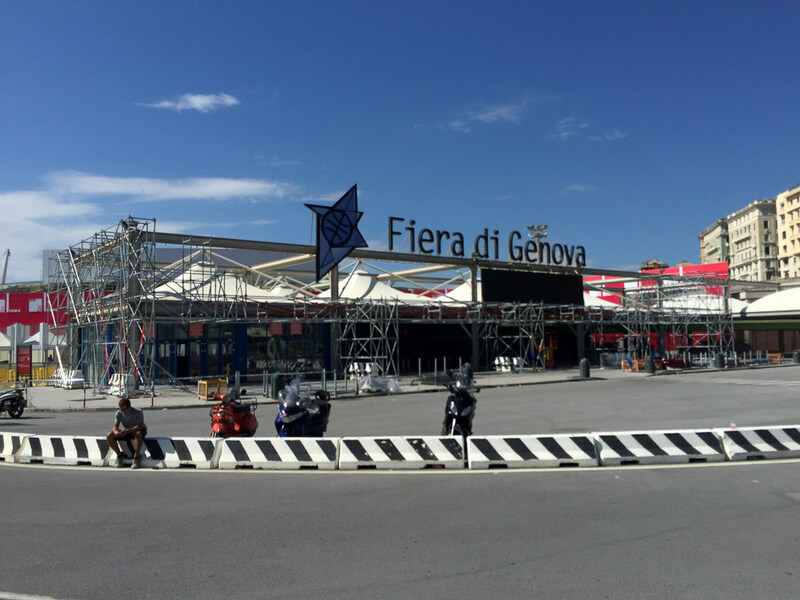 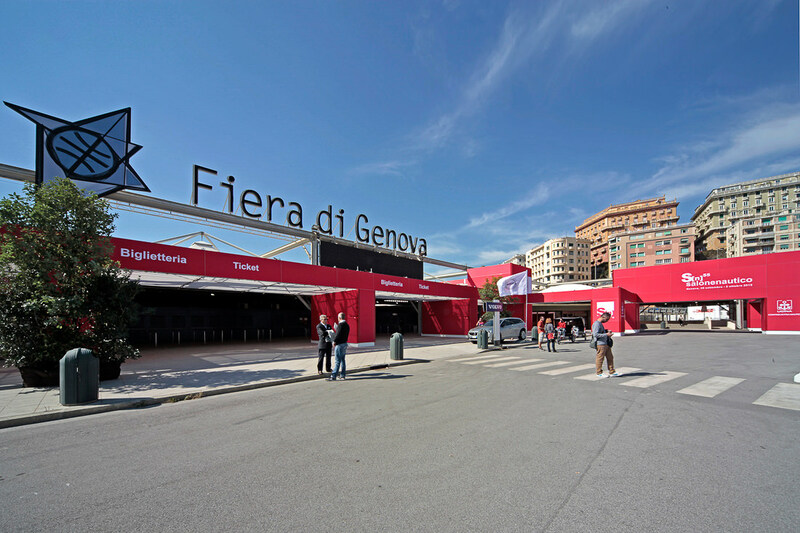 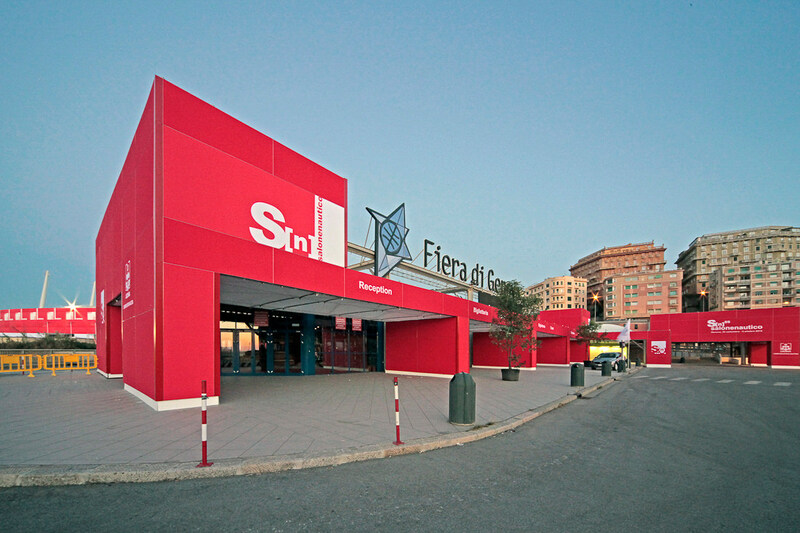 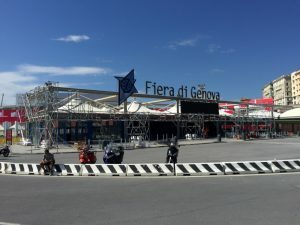 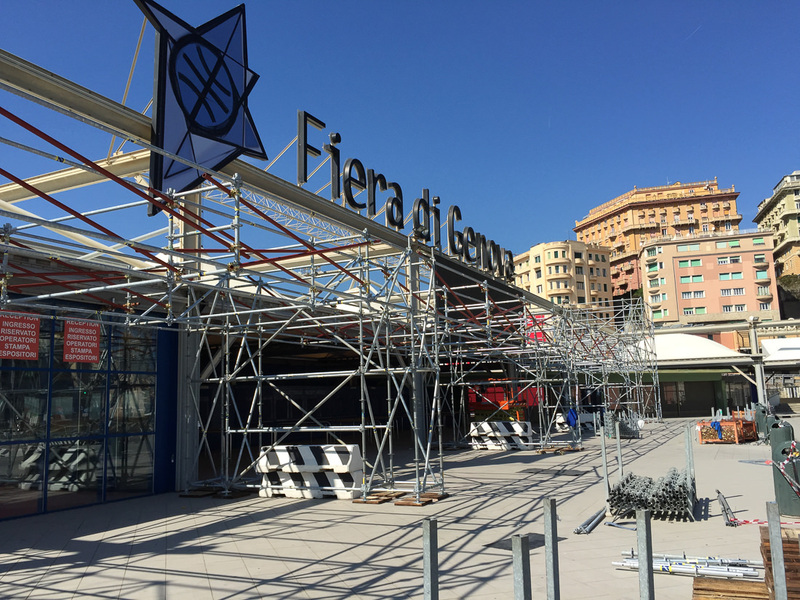 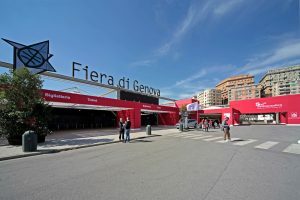 Scaffolding made for aesthetic purposes to enhance the Genoa Boat Show, leading trade fair in the city. A first MP structure of 250 m. has been designed to cover the curved facade of the pavilion of the fair. 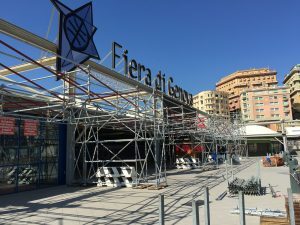 A further selfsupporting structure of 100 linear meters was then connected to continue the “wave” form of the overall project. 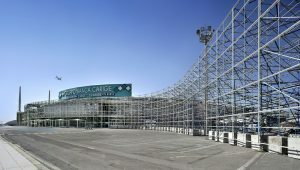 Considering the structure height of 11 meters the overall facade was of about 2500 m².